Dunsmore offers the most comprehensive Home Movers data available on the market with over 95% of all UK Home Movers databased and categorised. This includes both buyers and tenants, and can be differentiated. The significance and availability of this data is very powerful as consumers are known to do the same things at each stage of the move cycle. 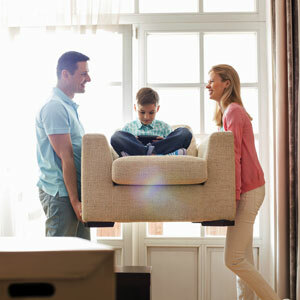 Home move is often a major lifestyle change. The home move event can be triggered by financial circumstances, a birth, marriage, divorce, retirement, death or employment. We categorise movers into 4 distinct periods of time during the move cycle. Our Home Movers data is of the highest standard. We can also marry up past locations and mover details with our 43M universe to filter on hundreds of other variables. All movers are fully opted in and have agreed to share their details with companies regarding their move. Both Brands and SMEs alike see home moving as a time when the purchasing habits and cycles of the past are changed, and offer a real and fresh opportunity to re-engage with current and past customers. Home movers are excellent business prospects as they need many different types of products and services including estate agents, loans for home improvements, mortgages, household furnishings, home insurance, life insurance, buildings and contents insurance, first time buyer opportunities, broadband, TV, Phone, Energy, Electrical products and services, Credit cards and Holidays to name but a few. This data represents an opportunity to introduce Home movers to your business, products and services at a time they may be new to the area, are seeking local services and suppliers. Dunsmore offers marketers first class UK Home Movers data that is comprehensive, accurate and relevant. Home Movers can be targeted at each stage of the moving life cycle. This allows you to target the groups you want to focus on at the right time so their introduction to your products and services is perfectly presented. For example, during the move, people need broadband, TV, phone, energy and also shop for electricals and furniture. Dunsmore has categorised Home Movers data into 4 distinct stages presented below. Each stage has the live data of people who are proceeding from Considering Moving to having moved, to During the Move, to Recently Moved and then Settling In. Our first step is to estimate the likely number of people moving week to week or month to month in the postcode areas you supply. We accept postcodes as letter codes e.g. B, CV, M but NOT codes containing numbers as the areas covered are often too small to create any suitable volumes. We have a minimum order level for movers supplied and if counts are not achieved within your target postcodes then other codes may be requested. In defining post code areas, Dunsmore is also able to calculate the drive time from your offices and other locations so as to ensure maximum areas can be reached. For example, driving along the motorways will often allow reach into other codes outside of areas that can be reached through A and B roads in the same drive time. People normally look for small to medium sized loans to upgrade their home prior to moving. They look for estate agents. They make home improvements, fix things, buy homeware and generally prepare to move financially. 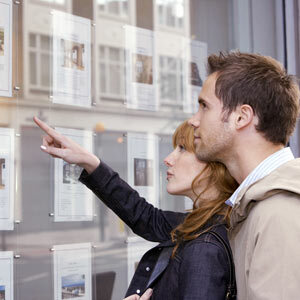 Estate agents may be appointed, and mortgage arrangements are put in place. Sales of large kitchen appliances increase. People believe they are going to move and put in place home and life insurance. They purchase furniture and source storage and relocation solutions. For the 40% first time buyers this represents an important period to source and buy most things. In the month before moving, purchase of plumbing and roofing items almost triples. Broadband, TV, phone, energy, relocation services and insurances are particularly needed. People who have literally just moved are in need of local services and child care. They also purchase new furniture. Having got the move and initial settling in out of the way, people turn to new credit cards and reviewing their budgets. Two months after a move, women spend nearly 40% more on clothes, shoes and accessories. Spending on their children also rises by up to 50%. Over 30% of people take a holiday in this period and that is even more compelling if it is around school holidays. People start to make alternations to new homes. Homes that were purchased at below average market prices are given face lifts and home improvements. People seek personal loans and will buy new windows, doors and extensions. Three months after purchasing a home, purchase of building materials rise by over 65% compared with the previous month. Purchases of furniture such as cabinets and cupboards increase by over 80%. Landline and mobile – Contact people directly on an on-going basis. As soon as they move into your target move periods then receive regularly refreshed data to deliver a seamless, high quality inbound and outbound marketing campaign. Email – Send bespoke emails written to congratulate and / or introduce your products and services in a timely manner, in a way that consumers carry with them and can read time and time again. You may wish to offer a voucher or code that can be redeemed at the checkout, over the phone or on your website. Postal – The tried and tested way. The opportunity to post offers with company literature and glossy brochures is stand out way to approach consumers over your competitors.